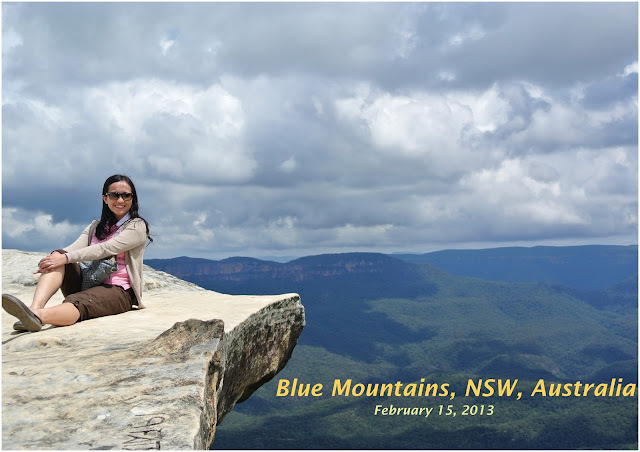 Why is it called Blue Mountains, by the way? No, the mountains are not blue - but because Australia is known for having eucalyptus trees, when hit by the sun, the oil reflects the light and gives off a bluish reflection. So looking at the mountains from afar, they seem bluish in color. Just a little tidbit of information - something I learned from the tour. 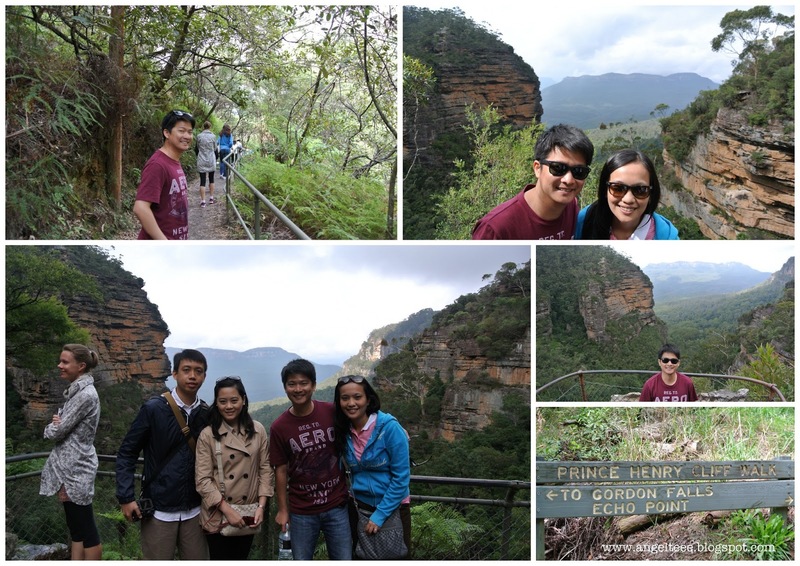 First, we started by trekking and following a trail at the Prince Henry Cliff Walk. 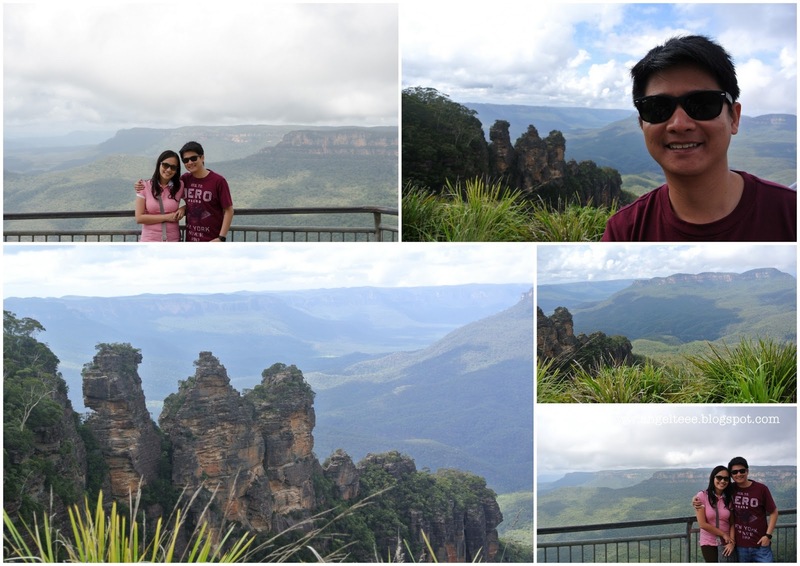 We stopped at several lookouts so we can appreciate the view of the majestic mountains at different angles. The highlight of the Blue Mountains tour - Echo Point and The Three Sisters. 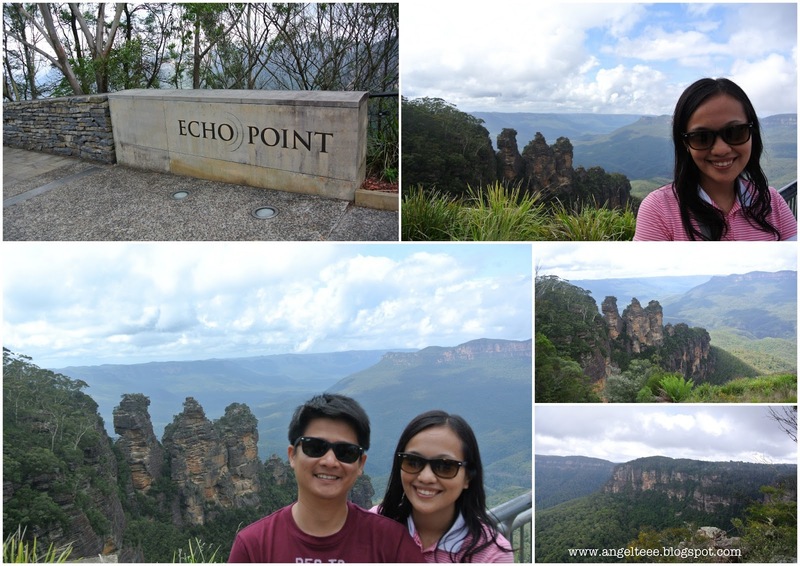 I have been guilty of not doing enough research on the Blue Mountains so I had no idea what on earth The Three Sisters was prior to the tour. But at just one glance, it'll hit you. It's so obvious that way - an unusual rock formation, you just couldn't miss. I suddenly remember M telling me that "The Three Sisters" are like the "Twelve Apostles", the difference is that the latter is surrounded with water. 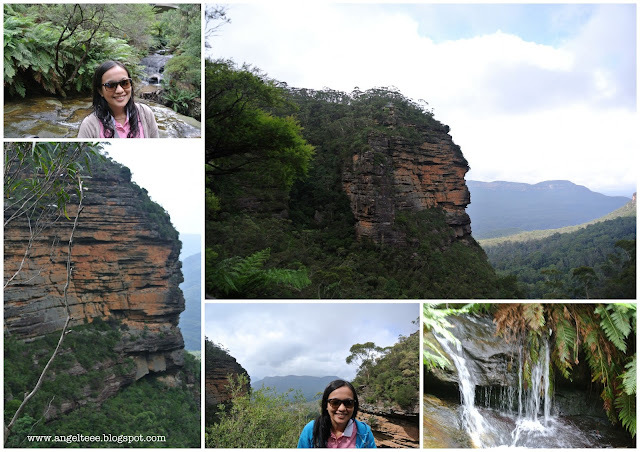 There are different versions of the legend on how the three sisters came to be, but the common part is that these used to be three aboriginal ladies turned into stone by a witch doctor. They still stand proud at ~900 meters tall to this day. 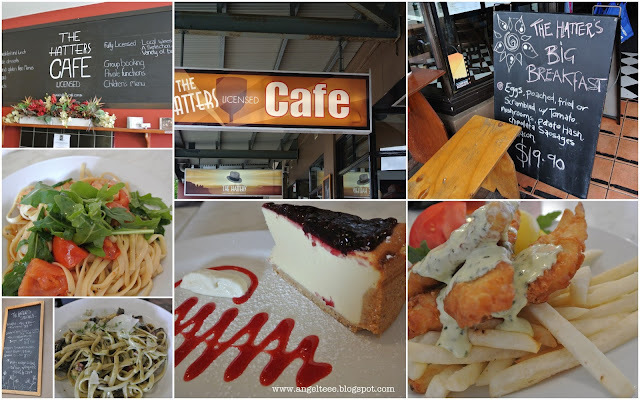 A pitstop at Katoomba for lunch. We stopped by a street where there were a bunch of restaurants to choose from and we randomly chose the Hatter's Cafe! It was a good choice in the end. Great Italian food, thumbs up! Imagine standing at the edge of the cliff, looking at miles and miles of mountains. Unobstructed view, just nature at its best. 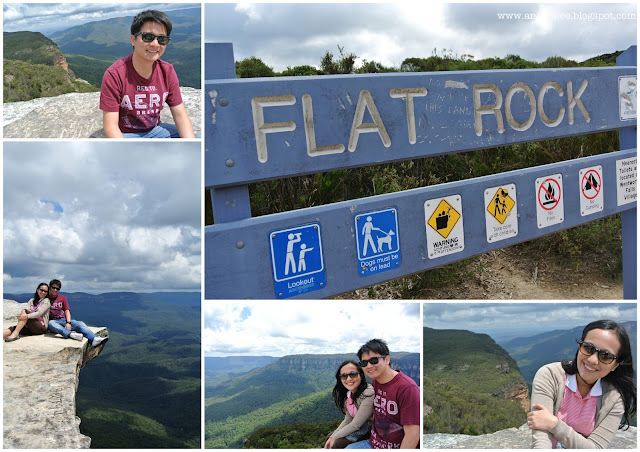 That was Flat Rock for us. 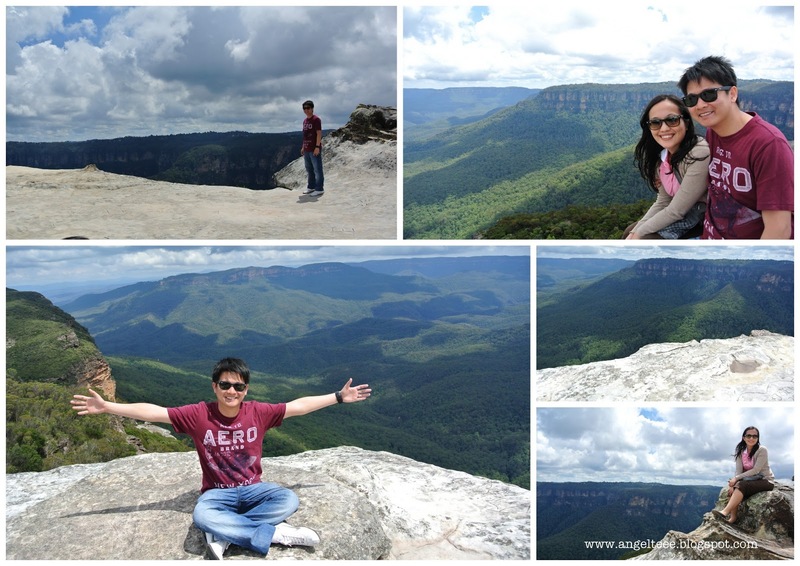 T'was yet another lookout, but it gave us a different experience, perspective and view as well. Last stop - a visit to Feathervale Wildlife Park. 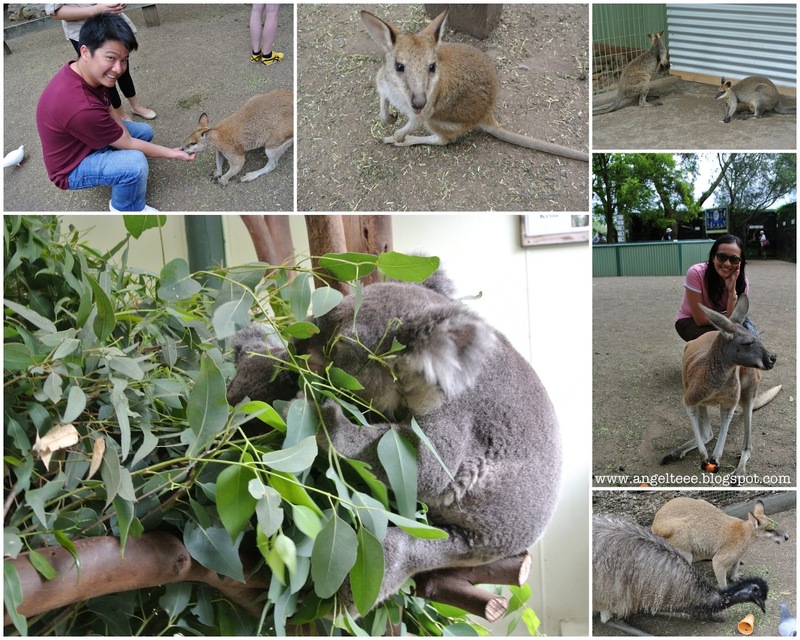 There we had a close encounter with emus, koalas, kangaroos and wallabies. My favorite would have to be patting the koala's back - it felt like I was touching a soft and furry stuffed toy! Plus, they smell really good because their diet is mainly of eucalyptus leaves. 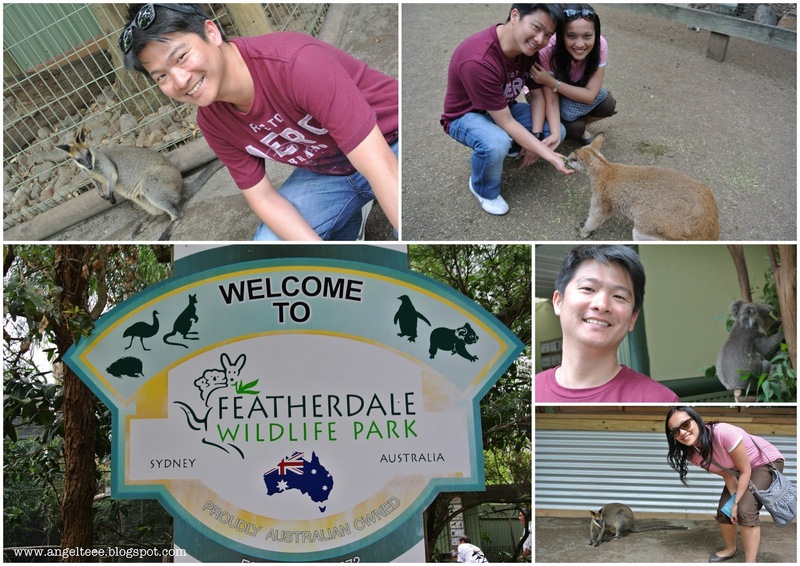 We had a fun experience feeding the kangaroos (I had a tug-of-war moment with one who insisted on taking the cone which contained the food). We also had a funny moment with the emus. A word to the wise - emus walk really fast; one moment it's a few meters away and the next, it's already beside you - especially if you are bringing food. Scared the hell out of us. Not just once, but twice. We ended the trip with a ferry tour back to Sydney, it was beautiful to approach Sydney and see the Sydney Opera and Darling Harbour from the sea. It was the perfect ending to the tour.